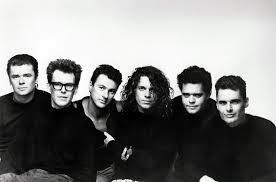 Before I proceed into the post about my first experience of Australian new wave band INXS, I thought I would be like some of my fellow bloggers and mention a good bargain I picked up on an album. Last Saturday, I was in my local Morrison’s supermarket when I happened past the CD section. Normally, I might only take a sweeping glance at their CD display as most of it is chart stuff. However, something interesting caught my eye. There on the shelf was the classic Bruce Springsteen, “Born to Run” album for just £3 ($4.50). Since my previous cassette copy of this album fell victim to my car stereo in 1990, I naturally had to pick it up. Now, let’s go into the post. 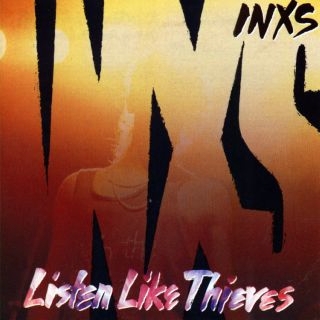 My first experience of INXS came a couple of months after I left the marines in 1983 and came by the way of the single “Don’t Change.” It wasn’t metal, it wasn’t Southern Rock nor could I put it into any sort of category but new wave, all I know that I liked the song. I liked the hard guitar sound in the background and though I thought they could have been a bit more dominant, it still worked. The keyboards were played smartly and complimented the song very well. However, having been burnt not long before this, I hesitated in buying the album “Shabooh Shoobah” right away. It was via a working companion that I was finally treated to it. 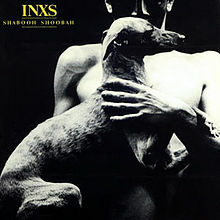 “Shabooh SHoobah” illustrates exactly where I was musically at this time in 1983. While my full conversion to heavy metal had already taken place, I wasn’t completely repulsed by what was being played on the radio at the time. When I listened to the album, I found it quite to my liking. While I wouldn’t exactly call it hard rock and there are no blistering guitar solos, there is sufficient guitar on it. Furthermore, I like Michael Hutchence’s vocals. He has that sinister sounding voice that gives a dark sounding tone to many of the songs. Track two, “Look at You” is prime evidence of this. Even with some of the more upbeat sounding songs like “Don’t Change” his voice doesn’t make the song some kind of happy pop song. Some more good examples are “Spy of Love,” “Here Comes” and “Golden Playpen.” I must also point out the saxophone playing of Kirk Pengilly on the album. I am always a bit skeptical when a band employs horns in rock but I have to say, Pengilly’s abilities are more than sufficient to pull it off here. It has been questioned why a song by INXS, (not from this album), appears on the soundtrack to “Rock Star,” a film about a heavy metal band. Being in possession of said soundtrack, I don’t think that song is out of place on it. As the album “Shabooh Shoobah” shows, they had the potential to go in any direction. There is just enough of a rock vibe on this album to satisfy me along with some new wave creativity. On the downside, I can’t help thinking with their next album, they kind of went in the wrong direction.